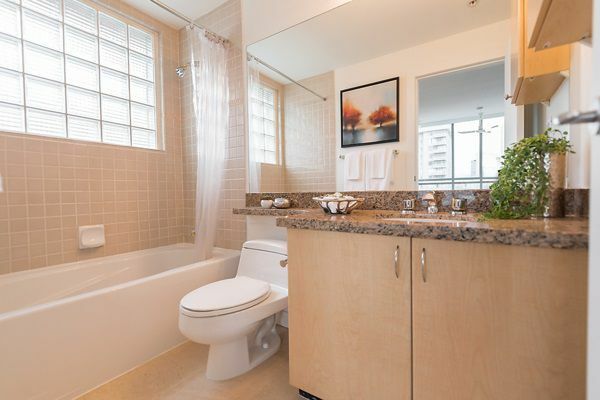 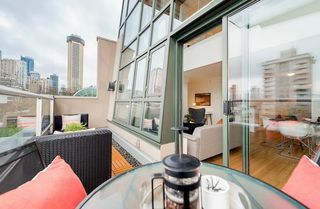 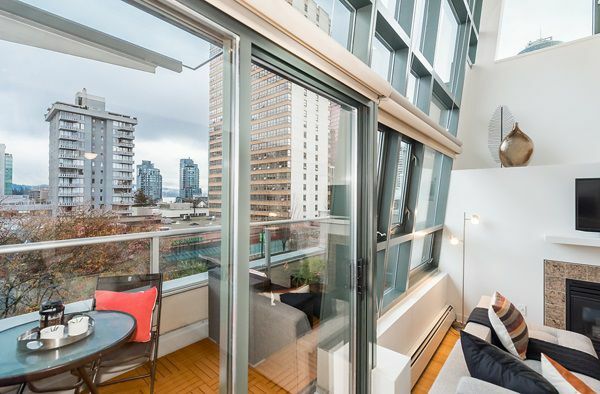 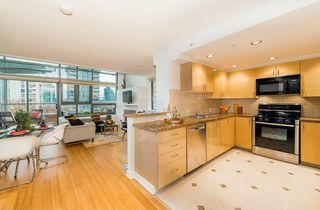 Penthouse loft at Pacific Robson Palais! This 2 storey 1171 sq.ft. 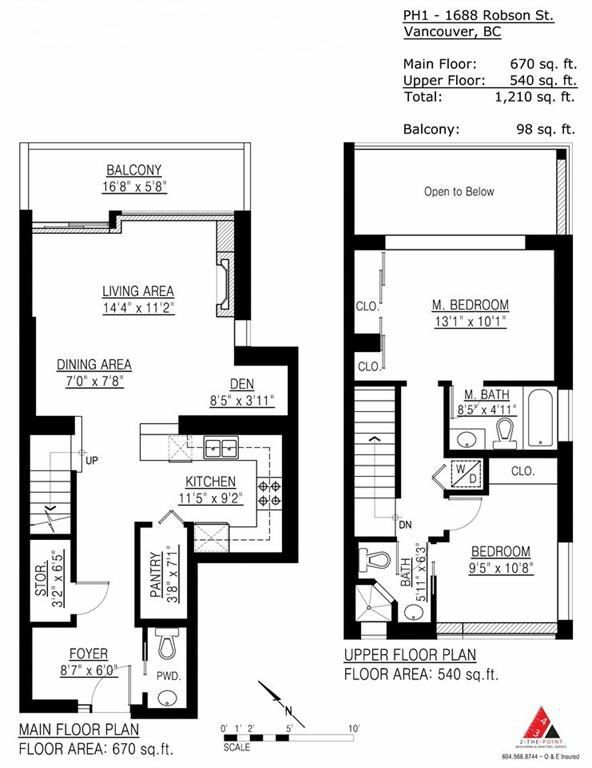 2 bedroom, 2.5 bath home boasts north, east & south exposure. 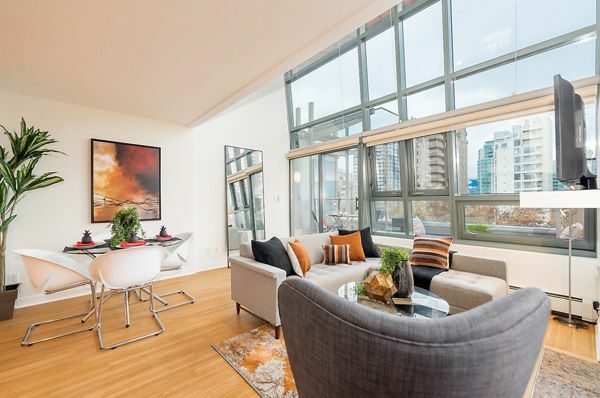 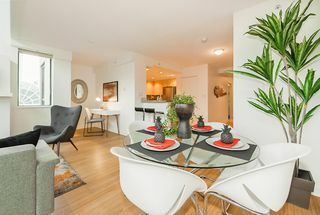 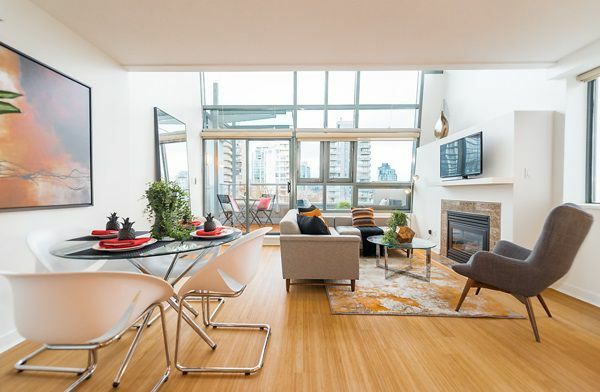 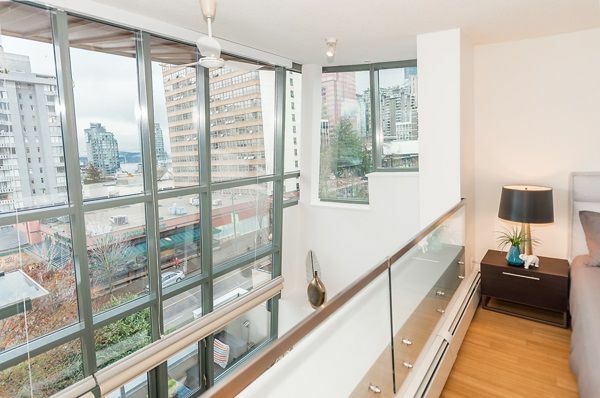 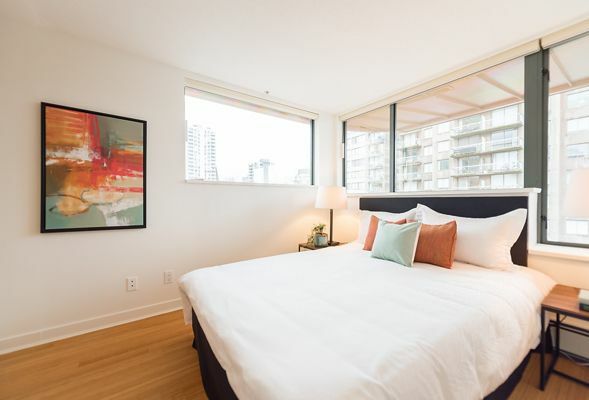 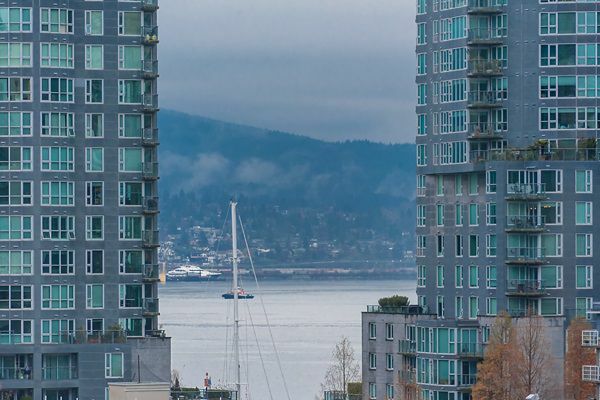 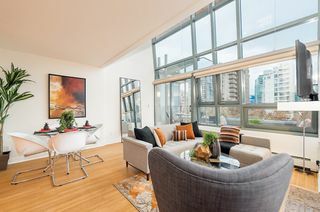 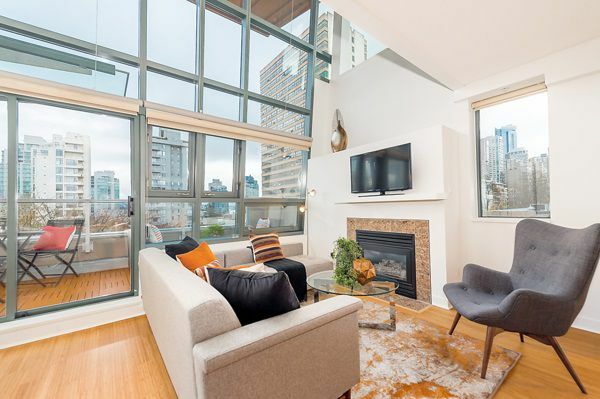 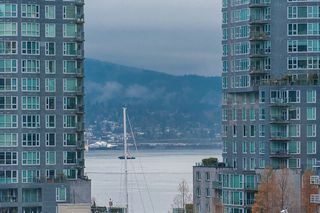 The L/R features sloping 18 ft. floor to ceiling windows with Northshore mountain & Coal Harbour view, beautiful solid bamboo floors, gas f/p and generous size balcony. The kitchen features granite countertops, s/s appliances and pantry. 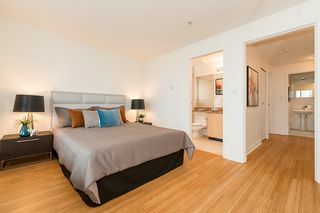 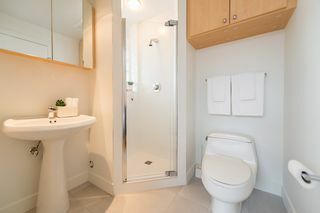 2 bedrooms both with ensuite bathrooms on top floor. 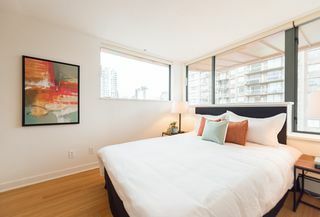 The master bedroom is loft style open to L/R below. 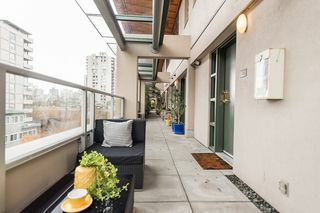 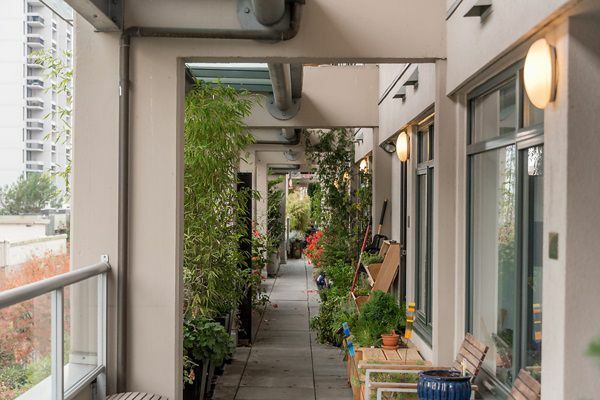 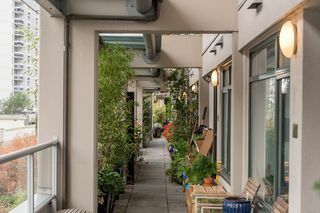 Bonus breezeway patio at entry. 2 side by side u/g parking stalls & locker included. 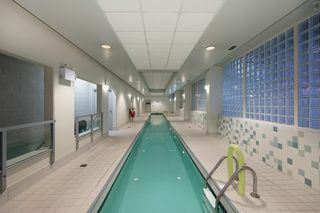 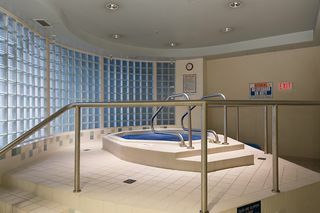 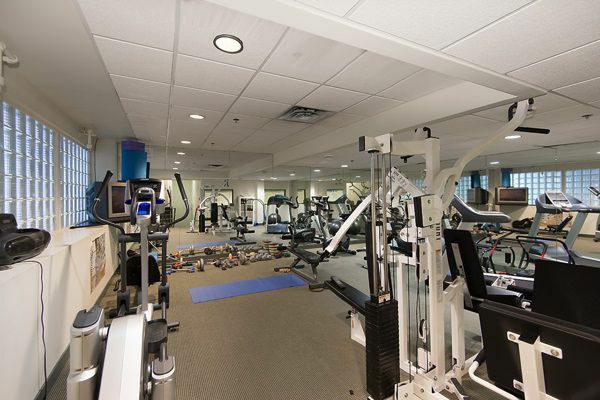 Great amenities, lap pool, jacuzzi, sauna & gym. 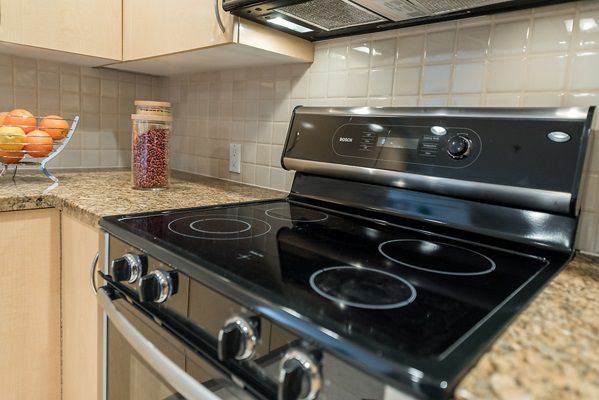 Heat, hot water, gas & recreation included in monthly strata fee. Pets & rentals allowed.